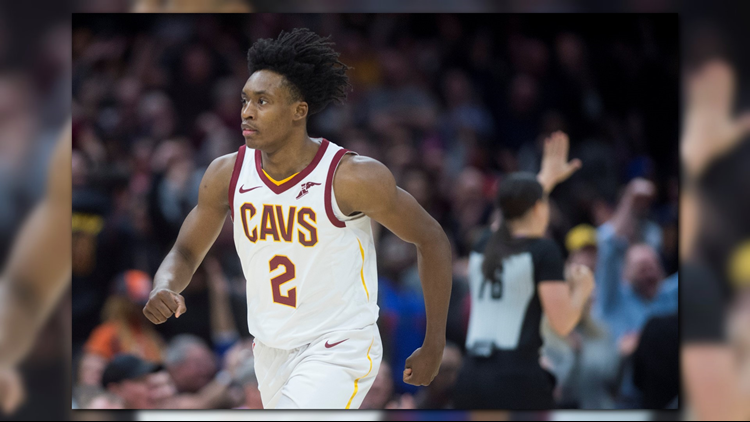 CLEVELAND — The maturation of Cleveland Cavaliers rookie guard Collin Sexton continues to amaze. Wednesday night, Sexton set a new team rookie record by scoring at least 23 points in seven consecutive games, breaking the mark set by Austin Carr. The last rookie to achieve the feat in the NBA? None other than Tim Duncan. Sexton got the record with 1:42 to play in the game as he buried a three-point basket near the left corner to stretch the Cavs lead to 105-100. He added a driving layup with 42 seconds to play to finish the game with 25 points on 10-18 shooting from the field, including 4-7 from 3-point range. The Cavaliers went on to beat the Central Division-leading Bucks 107-102.